This is a small 5 X 8 colored pencil drawing. 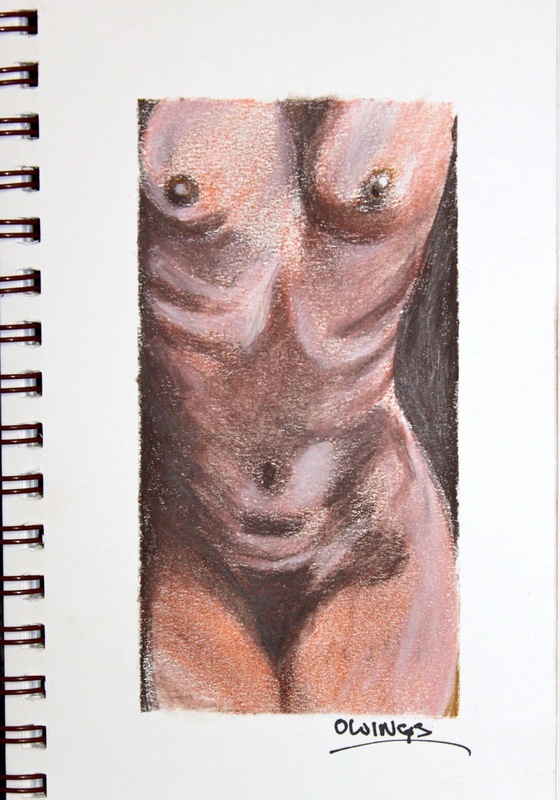 I enjoy drawing the human body and the detail it offers. Every body is unique and every body has interesting features. I like the way the drawing came out and was satisfied with the final result in general. There is always opportunity to improve, but sometimes you have to just accept it when things you do satisfy you.